The year of the Dragon or chen is an extra-special year for a number of countries in Asia. This is the year when one gains the opportunity to achieve the impossible, as if by magic. When the Dragon reigns, we have the confidence and courage to pursue our goals without trepidation, knowing that the mighty Dragon is watching over us and nudging us toward the most auspicious direction. The Dragon is the fifth creature of the Chinese zodiac. 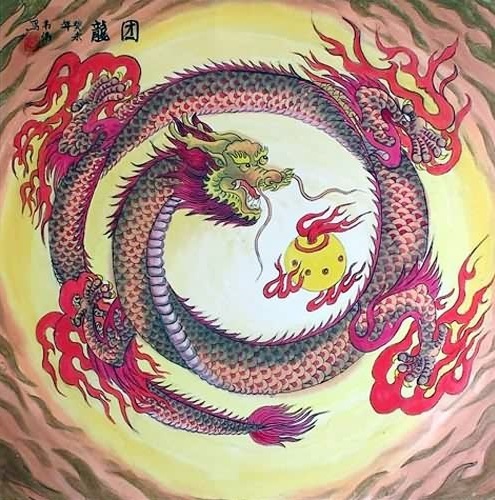 This Yang creature is also the only mythical animal in the circle and the only one with supernatural powers to master both the air and the seas. 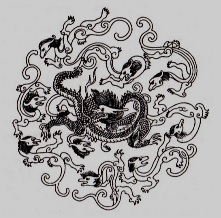 The Han Dynasty (206 BCE-220 CE) used the Dragon as the symbol of the Emperor, or the Son of Heaven. Chinese emperors were addressed as dragons, and their possessions were also preceded with the word dragon, such as dragon robes or dragon thrones. Kowloon in China translates as "the town of the Nine Dragons." The Dragon is also a powerful Chinese symbol of dignity, honor and victory. The Dragon is a symbol of mystery, protection and transformation. It is also an ancient embodiment of the universe, life, growth and the Otherworld. People born under dragon benefit from a dragon charm, which guards against accidents and increases good fortune. If you were born under a different symbol, you still benefit from the Dragon's luck. It seems that no one can escape from the good fortune that the Dragon brings, although the Rooster, the Rat and the Monkey get to enjoy extras! The Dragon is an emblem of flamboyance, ambition and lucidity. This mythical creature enjoys the company of the Rat and the Monkey. It is especially compatible with the Rooster, which is the earthly form of the Phoenix. The Dragon abhors the humility and steadfastness of the Ox, the Rabbit and the Dog. Zodiac experts say that dark red, black and green and the numbers 3 and 8 are not in sync with the year of the Dragon, and with those born in this year. According to ancient lore, the Dragon is able to summon the powers of heaven for man to gain a more meaningful destiny. 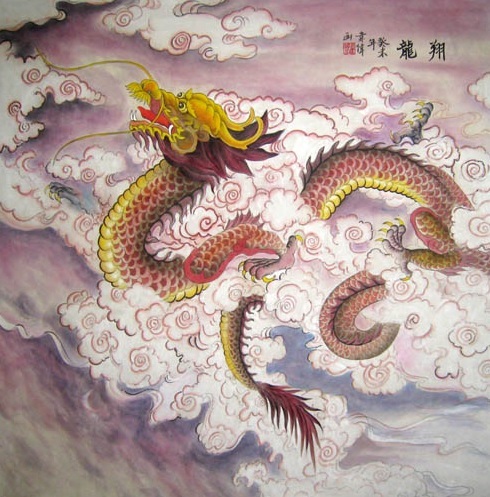 As a rain-maker, the Dragon manifests as a huge cloud heavy with life-giving rainwater, especially in spring. In its shimmering blue-green hue, the Dragon is a symbol of divine force in charge of fertility on earth, and guardian of the Eastern direction and sunrise. Unlike the ruthless and fire-breathing Western dragons, the dragons of ancient China are benevolent and friendly. There are likewise old tales about Chinese women who gave birth to one or several dragons. These serpentine creatures sleep under the earth in the winter and rise on the second day of the second month into the heavens. Their awakening produced the first thunder and rainfall of spring. Besides the year of the Dragon, an annual dragon festival is celebrated in many Asian regions to mark the beginning of spring. As a magical creature, the Dragon has the ability to become as big as the space between heaven and earth or as small as a silkworm. It can also choose to be seen or unseen. There are many types of dragons in ancient Asia. There are dragons of the heavens, dragons of the earth, the treasure dragons, and the spirit dragons. 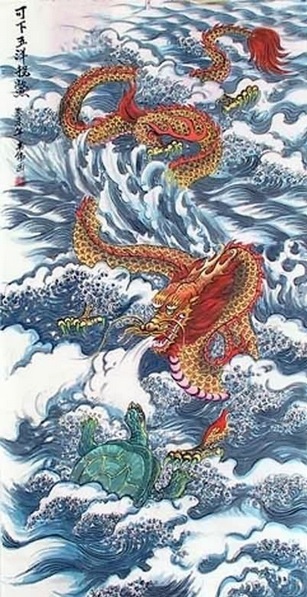 There were also four Dragon rulers for each of the four seas that bordered the earth. If you need an extraordinary stroke of luck, an adventure, courage, prosperity or magic in your life, the year of the Dragon and the Dragon itself are the perfect symbols to watch out for. The appearance of the Dragon in one's life also signifies the coming together of a special event for you. Dragons generate opportunities and solutions to obstacles. In China and several Asian countries, impressive Dragon sculptures are built to empower and protect temples, and to provide great blessings, wisdom and success to temple goers. Call upon the dragon to amplify your triumphs. Meditate on it with the intention of gaining wisdom if you find yourself in a dilemma. If you encounter an image of the Dragon in ways that you normally would and do not, then expect a pleasant lucky surprise soon:-) It can come in any form so be alert! By the way, we're talking about the benevolent Eastern dragons here, the Western dragons and wyverns have an entirely different message to deliver. Let me soar and turn the tide. Turn my turmoils into gold. Return to Chinese Zodiac Symbols from the Year of the Dragon (this page). To find out more about symbols, go to the Symbolisms homepage. *I use authentic Chinese images in all of my Chinese Zodiac Symbols pages whenever I can. For the three fantastic paintings on this page, I am grateful to artist Deng Wei Wei of Ink Dance Chinese Paintings. Also featured on this page are a traditional Dragon and its Nine Sons illustration, a resin dragon figurine, and the Chinese character for the word Dragon.